The program of the 3-day International Symposium Ampelos 2017 is divided into five thematic sessions: a) climatic scenarios in Europe and in the Mediterranean basin until the end of the 21st century, b) impact of climate change on growth and quality of wine and table grapevine varieties, c) impact of climate change on the developmental physiology and ecophysiology of the grapevine, d) adaptation of grapevine varieties and rootstocks to climate change, e) new philosophy on winemaking techniques to address the consequences caused by the climate change. Santorini constitutes from every perspective an ideal place for the realization of scientific symposia, particularly of the vine and wine. The natural and rural landscape of unparalleled beauty as shaped by the contribution of everlasting vineyards with the traditional form of vines, the result of centuries of good viticulture practices, the high winemaking knowledge and technique with 3500 years of history which utilizes marvelously the local grapevine varieties cultivated in the rocky volcanic soils, the tradition and culture as well Caldera, all these make Santorini unique. 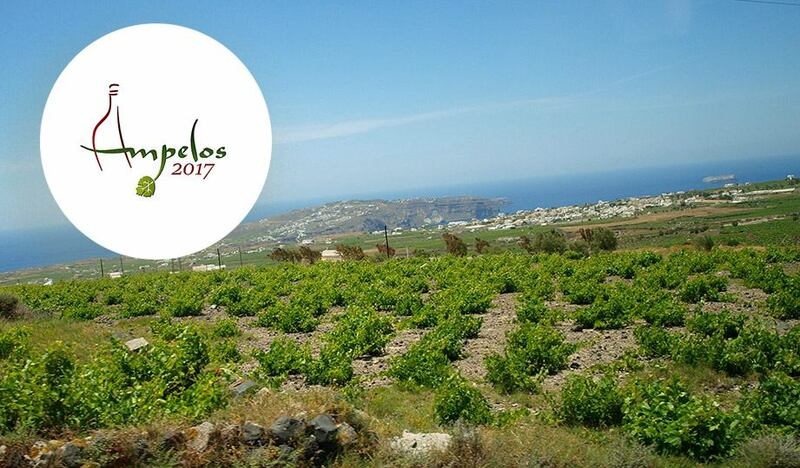 Scientists and researchers, vine-growers and winemakers, professionals of related fields and every friend of the grapevine, are all invited to present and discuss their leading edge research, their experience, their knowledge and their views in this forum and enjoy another inspired and full of challenges symposium in the beginning of summer of 2017 in Santorini.